Paul and the Riverkeeper team work to protect the Hudson River and the drinking water supplies for nine million New Yorkers. An attorney and educator, Paul has dedicated himself to the environmental movement since 1987, when he left the private practice of law and went to work for the New York State Attorney General. In 1990, Paul began a ten-year stint at New York’s Department of Environmental Conservation, where he brought hundreds of corporate and government polluters to justice. 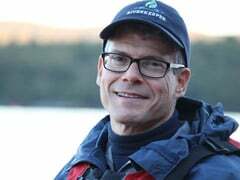 Paul subsequently spent a decade in the land conservation movement before becoming Riverkeeper’s President in 2010. Paul is a graduate of Williams College and Columbia Law School and has held a number of teaching positions, including his current appointment with the Earth Institute at Columbia University.